This Positive Coaching group provides a variety of podcasts available for whatever aspect of sports and life interests you. Here is one on the benefits of having your player stay with their grade level teams. Check out some others, too. Your Cocheco Online Team Store is now LIVE! This will be the last store until the end of the year! Get your goodies now. Put down that game controller & pick up your stick. It’s time to battle for real! Camp runs July 8th to July 12th, 2019 from 9:30 a.m. to 2:30 p.m.
Friday July 12th ends at 12:30 p.m. Early Bird Special - Save Now! The regular cost of the camp is $300 for the week. but if you sign up and pay before June 9, 2019 you will only pay $275 for the week. Don't miss out! Halves start with draw – after a goal, the team that was scored on gets the ball on the goal line extended. All players 4m away. Three players allowed at draw. All others to be below 8m arc until after possession. Regulation or soft ball. Eyewear and mouthguard required. Cards are not used. Player might be asked to leave field briefly (for coach discussion) and be replaced. NO CONTACT. Intentional or dangerous contact and unsporting conduct are major fouls and player is off field for short time and replaced. Carded Players might leave field (for coach discussion) and must be replaced. One official required, two recommended. One officials required, two recommended. Coach on field if lots of newbies. Cover in pre-game meeting. d. Players may not kick the ball nor cover the ball. Flicking is allowed, but cross must be vertical. Offsides: 5 players behind line when ball in offensive end, 4 players behind when ball is in defensive end. Halves start with draw – after goal, draw. Mercy Rule Applies at 4 goals. Players below restraining line may not cross until possession is established. Regulation ball. Eyewear and mouthguard required. Two (2) three-minute sudden death overtimes. Two officials required for full field; one must be adult-rated or above. Carded Player leaves field. Team plays short 2 minutes for yellow and duration of game for red. Players may kick the ball to move, but not to score. 4.3.2. Pass Rule only applies to 8U, 10U, and 12U. One attempted pass is required after the ball and the ball carrier completely cross their respective offensive restraining line before a shot can be taken at the goal. An additional pass is not required until the ball leaves the offensive side of the field beyond the restraining line. If a shot is taken before the pass is attempted, it is considered a goal circle violation and the ball is awarded to the goal keeper. The use of headgear is optional in girls' and women's lacrosse. Any headgear used after January 1, 2017 must meet the ASTM standard, F3137. The ASTM standard, F3137, is a performance standard, not a design standard. Product designs will likely vary from one manufacturer to another. Products must provide full coverage of the head. Products must be worn with required ASTM women’s lacrosse eyewear. There must be marking on both the packaging and product that states that the headgear conforms to ASTM standard F3137. What does the standard mean? The ASTM standard is the first-ever performance standard for women’s lacrosse headgear, developed to help reduce impact forces associated with stick and ball contact in women’s lacrosse. Will the new headgear prevent concussions? The headgear standard was developed to decrease ball- and stick-to-head impact force. No headgear or helmet in any sport has been proven to prevent concussions. Is the use of headgear required? No. 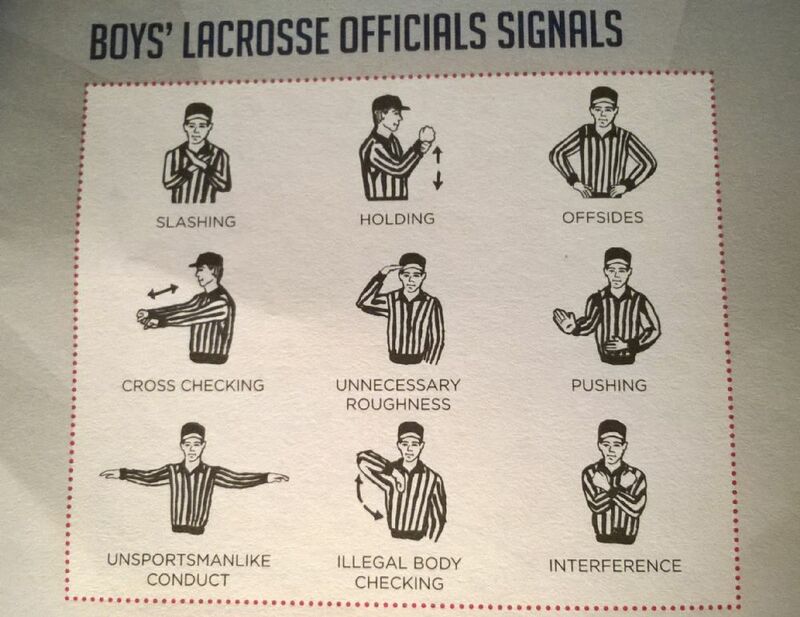 Headgear remains optional in the US Lacrosse Youth Rule Book and in the USL/NFHS Rule Book. When will this headgear be available? Headgear products have begun to be available in the marketplace, as of September 2016. US Lacrosse has created an online listing for headgear models that have submitted a passing report in compliance with ASTM standard F3137. What does this mean for the 2016 season? During the remainder of 2016, both current soft headgear allowable under the 2016 rules and any headgear that meets the ASTM standard will be legal for play. US Lacrosse encourages parents, program administrators and athletic directors to contact the manufacturer of gear already purchased for information on compliance to the new standard. Will the new headgear be soft? ASTM standard F3137 is not a soft headgear standard and the standard itself makes no mention of the word "soft." However, the testing protocol does require that the product meets a certain flexibility to insure that players who are wearing the product do not injure those who are not. How much will the new headgear products cost? Products vary in cost and design. Please contact the headgear manufacturers for more information. What will the headgear look like? The ASTM standard requires the headgear to fully cover the head, thus precluding the use of head band type products currently used by some players. All headgear must be worn with required eyewear, and some headgear models have integrated eyewear. The standard has two options, allowing manufacturers to make their headgear with eyewear implemented or a product that is compatible with various eyewear products currently on the market. For further inquiries, please contact Caitlin Kelley, Women's Game Senior Manager at US Lacrosse, at . Being familiar with these will increase your LaxIQ and greatly increase your enjoyment of every game. Naturally, they differ between the boys and girls games. 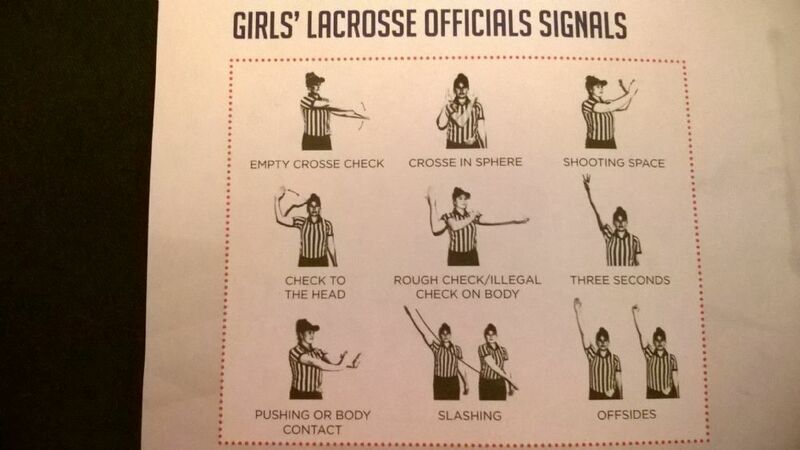 Being familiar with these increases your LaxIQ and will greatly increase your enjoyment of every game.